A lot of times, visitors to your eCommerce store don’t know exactly what they want. Or, other times they know what product they want, but have reached the homepage of your store. In either case, good product filtering options can help users to get to a specific product quickly. A good search option might do the trick, but narrowing down to a product or group of products through a structured path is a fulfilling exercise for shoppers. It may seem strange to know that a vast majority of online stores don’t have an advanced product filter system. Unfortunately, that means a not so great user experience for a large number of eCommerce users. However, if you are using WooCommerce, there are plenty of options to help you. 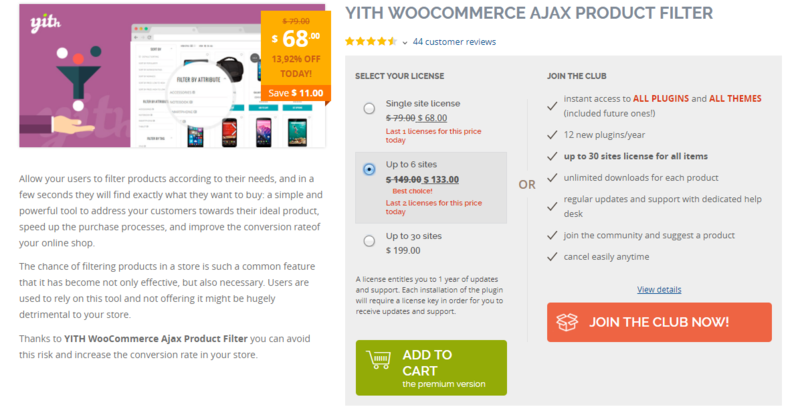 This article presents to you some of the best WooCommerce product filter plugins. Product filters are an important part of your site’s user experience. Without an advanced filtering option, your customers and prospective buyers won’t be able to navigate freely on your store. And, when you have a good product filtering option in place, it will reflect in the overall user experience on your site. Let’s see in more detail how these plugins help you. Customers on a WooCommerce store would really appreciate it if they can find the product they are looking for easily. If customers are not able to find what they are looking for quickly, they are most probably going to leave your site. Here is a WooCommerce plugin that would help you make the product search process simple and efficient on your store. WooCommerce Product Filters plugin provides a range of options that would make your site extremely customer friendly. Here is a quick look at the standout features of this plugin. Ajax filtering to make the filtering process really fast, as the products will be loaded without reloading the page. Multiple criteria to filter products including categories, tags, attributes, price and taxonomies. Different interactive elements such as price slider, checkbox list, radio list, drop-down, color list, box list, text list, etc., to give a professional appearance to your site. Widgets and shortcodes to help you display the filter options and interactive elements on your WooCommerce store. Furthermore, the plugin has got a user-friendly settings page to help you configure the suitable filter options. The single site subscription of this plugin is priced at $79. You can also purchase a 5-site subscription for $129, and a 25-site subscription for $179. 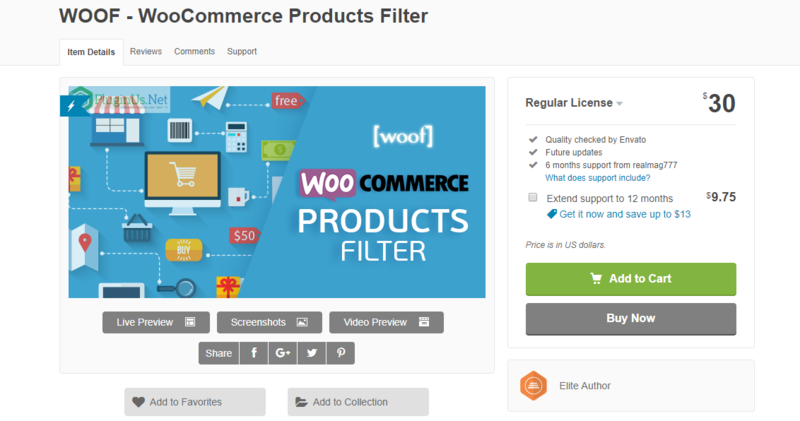 This is one of the most popular WooCommerce product filter plugin currently in the market. It integrates seamlessly to WooCommerce and works smoothly on Shop, Product and Custom pages. You can use this one directly in WooCommerce shortcodes, and it works with Visual Composer without hassles. The product finder feature helps your customers to search anywhere on your site, and the plugin will redirect them to the relevant page. 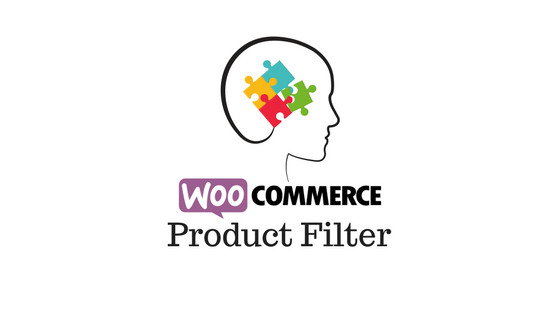 This is one of the most popular product filter solutions in WooCommerce, with great integration and abundant filtering options. The plugin features a large number of filtering options from categories, attributes, price, stock status, rating, vendor, and a lot more. Another advanced feature is adaptive filtering, where the plugin displays only the remaining terms in your filters. This helps customers to narrow down their filtering criteria. The plugin also offers unlimited filter layouts with sidebars and full-screen options. The price is $35 for a regular license. You can also try out their bundle option, which comes along with a few other useful plugins. WooCommerce Product Filter Plugin by PickPlugins is a new entrant to the scene, and is quite easy to use. With a wide range of filters, this plugin makes it really easy for your customers to search for products on your store. The plugin helps to filter products on your shop page by keywords, product categories, tags, attributes, price range, SKU, etc. It also allows to filter products on sale. This plugin is quite easy to install and configure. Once you activate the plugin, you will find a widget by name “Woo Shop Filter” (navigate through Appearance > Widgets). You can simply drag and drop this widget to the main sidebar. The product filter will be visible on your Shop page, which your customers can use to find the product they are looking for. For the developers out there, the plugin do provide an option to add a custom search field through hooks. This plugin is a really flexible tool to set up product filter options on your WooCommerce store. Once you install it, your customers can filter products on your store based on categories, attributes, tags, price, etc. If you want to further customize the search form according to some of your preferences, you can make use of the extension API for that. However, you need to have advanced PHP knowledge to do such code-level customization. The plugin offers a range of shortcodes to help you set up the product search form according to your specific requirements. You get a choice to decide how you want to display the filtering options. The available options include checkboxes, radio buttons, dropdowns, etc. With more than 50,000 active installs, this plugin is really popular in the WordPress directory. If you want more advanced features, you can check the premium version, which we will discuss next. What really distinguishes this plugin is the flexibility that it offers. Apart from the advanced filtering options that it provides, it also allows developers to extend its functionalities in many ways. Once you get this one on your site, it definitely will improve the user experience, much to the delight of your customers. It introduces a lot of advanced options to the product search feature on your site. The plugin features widgets, product shortcodes, Ajax search and multiple filter display options. With its advanced product filter options, the plugin supercharges the product search functionality on your WooCommerce store. Apart from the filter options that you have seen in the free version, the premium option offers quite a few more. These options include search by SKU, image, color, taxonomy slider, hierarchy dropdown, and statistics. The statistical data will help you understand how your products are garnering interest in the market. You can purchase the regular license of the plugin for $30. And, if you don’t want to go for the purchase right away, they have a free trial option that you can try. This one helps your customers to apply filters to navigate to the product or variation that they are looking for. The plugin provides a widget to show the filtering options to customers. You can choose from a variety of conditions from list, dropdown, label, and color. In addition, there is a reset widget option, which will help you quickly disable all the applied filters. With over 100,000 active installs, this one is a reliable option to try out. However, if you are looking for advanced features, see the premium version. Studies have pointed out that users on an eCommerce site are sort of impatient. And, if they are not able to find the product they are looking for quickly, they might go elsewhere. With the help of this plugin, you can provide a great option for users to find the products they are looking for easily. As it pushes the speed of the buying process on your store, your conversions also will improve. In addition to providing the standard filtering options like category, price, etc., this plugin also offers an option to combine different filtering options. It also offers advanced filtering options like publishing date, price range, user ratings, number of sales, etc. The YITH product filter plugin is a handy tool if your store has a large number of products, and navigating it isn’t too easy. This plugin is a must-have tool particularly if your product catalog is quite large. Your customers won’t be confused to find what they are looking for among all the available choices. It offers multiple layout options to help you choose the suitable ones that are effective on your site. The filter option to display only on sale products would be particularly useful for your site. You can purchase the single site license of this plugin for $79. This is a new kid on the block. What differentiates it from others is the single widget that displays all the available filtering options. The efficient caching system associated with this plugin will also help in improving page loading speeds. It also provides an option to filter the search results. And more importantly, it integrates well with WooCommerce and has seamless compatibility with other plugins like Premmerce WooCommerce Brands. You can find good help in using this plugin with the detailed documentation. This is yet another powerful WooCommerce product filter plugin that lets you apply unlimited filters with a single widget. All the standard filtering parameters such as categories, taxonomies, price, tags, attributes, etc are available. Display options are also exhaustive with checkboxes, radio buttons, range sliders, dropdowns, tags clouds, etc. And, if you want to change the display style of any of these options, you can do that easily as well. It also has features like dynamic product recount. You can purchase the single site license for $35. Check the product page for more pricing options. When you have a considerable number of products in your store, setting up product filters become a necessary aspect. However, you need to be mindful of all the different ways it can affect the user experience on your site. Here is a look at some of the expert advice regarding product filters. The primary motive to set up this option on your store would be to ensure a superior user experience. It should help your store visitors find out what they are looking for more easily. When your product list is really large with many variations, there will be a large number of terms for each filter type. In such situations, you may need to show only a few options and provide an option to users to click and expand the options. Including filter types that are not obvious features also would help. For example, if you know your customers are searching for your products in terms of some usability term, you can include filter options like that. Thinking from the perspective of users would give you an idea to create filters that are based on actual usability options. Another aspect of product filters comes into play when you are dealing with products that have compatibility requirements. For example, if you are selling accessories for laptops or mobile phones, you may need to include model names or numbers as a filter option. This is an absolute necessity if you have a large number of such products. You need to include all the features in the filter options to help customers find the products they are looking for. Category-specific filter options might be a good idea if you have multiple features inside each product category. For example, if you are selling electronic products on your store, there will be category specific filters for each product type. For example, shutter speed can be a filter option for camera category, and this obviously won’t be applicable to washing machines. 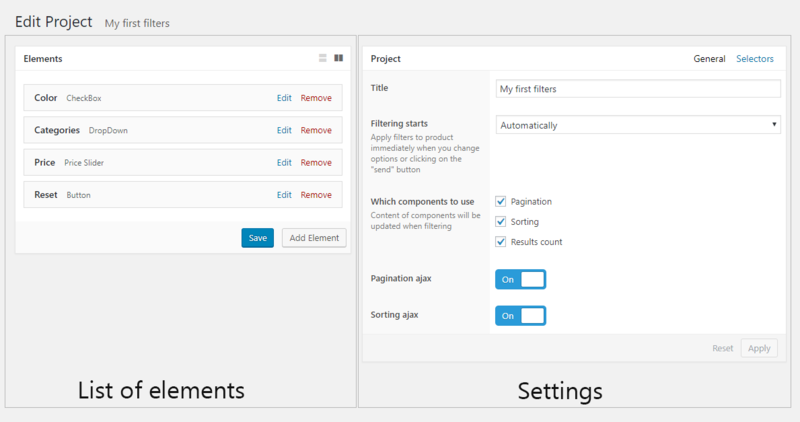 Another strategy can be to create themes as filter options. You can include all the common requests from customers under your thematic filters. For example, clothing stores use filters such as casual, formal, semi-formal, party wear, etc. Such filters help customers to place these products in a context that they can relate to, and therefore, there are more chances of conversion. There are often times when customers want to search for multiple values in the same filter type. For example, in the case of a customer wanting to see a selection of formal shirts with different materials in a shop. This is in fact, a really sensible thing to do, as most of the time users want to see multiple options together. Basically, filters should help people find the exact products they are looking for, and also show the ones they hadn’t thought of. Zara website has category-specific filters, which allows multiple selections in each field types. Slow loading time is one aspect that impacts user experience in a negative way. Every time the customer applies a new filter, the search process should happen instantly. If your store takes time to refresh the page when customers apply a filter, it reflects badly on customer perception. Some of the Ajax-based plugins that we’ve discussed in the article are really good to ensure good loading speed for product searches. If you want tips for speeding up your WooCommerce store, you can find an article here. While creating filters, you may often be able to think to the most specific aspect of your products. However, in doing so, you should not keep filters that will return nothing. When you have a huge array of products, sometimes this is unavoidable. But it doesn’t make sense to keep filters that are applicable only to discontinued products. The best way to deal with these is to create filters that you are certain about returning results. For example, you have a color filter, and you have only three color options applicable to that product. In such a scenario, there is no point in keeping other color options. Though product filters have become a necessity, they can affect user experience adversely, if not set correctly. The solution to this is to test thoroughly before you make it live. That way, you can identify any issues early, and make necessary adjustments. Another important thing to pay attention is to keep the filter options really simple. If your users find the filtering options incomprehensible, it will do more harm than good. Product filters are a crucial aspect of user experience in an eCommerce store. It is actually the one factor that enables users to browse through your site and find a product that they are looking for. In addition to ensuring a superior user experience, filter options can be creatively used for marketing purposes as well. If your store is made with WooCommerce platform, you have several options to set up product filters. This article has introduced you to some of the best WooCommerce product filter plugins. Let us know if you want to share an insight with us. 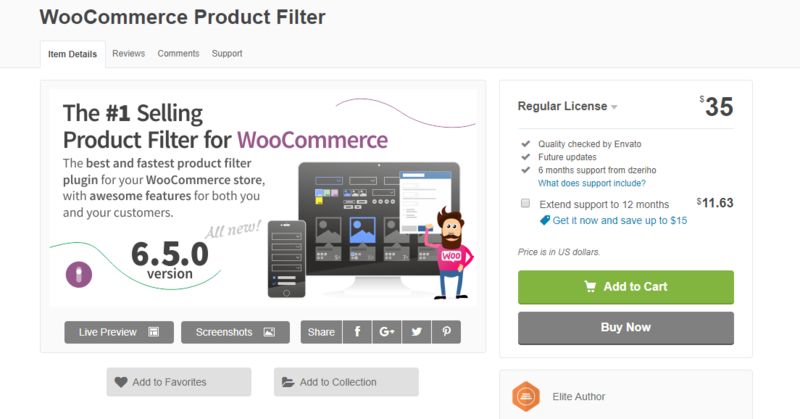 In WooCommerce has a new extension “product filters”. Thank you for pointing this out. We have updated the article including the new extension.